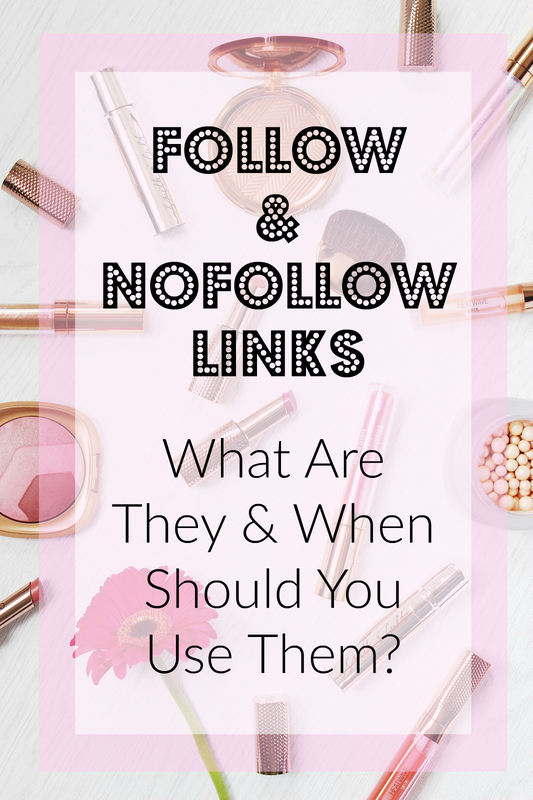 There’s been a lot of talk about Follow and NoFollow links in the blogging community of late, so I thought I’d write a quick post to help try to clear things up a little. While I wouldn’t call myself an SEO expert, my day job does involves working in the digital marketing field and I work closely alongside a specialist SEO agency day to day. I’ve asked a friend at the agency to check all of this from a technical point of view to make sure I’m being accurate, rather than just presenting my own opinion on the two different link styles and what impact they can have. Links to and from your website play an important part in the way that Google decides its search engine rankings. No-one knows exactly how their algorithm works, but it’s safe to say that having good quality websites linking to you is a definite plus point, as is providing links from your site to other reputable websites (as well as linking within your site to your own relevant content). Follow and NoFollow are simple ways to indicate to Google whether or not they should pay attention to a link. While they want people to link to relevant sites, they don’t like people being able to skew the search results by purchasing lots of links or spamming sites with them – they want linking to be as natural and as helpful as possible. Follow is the default state for most links. If you add a link to another website into your blog, chances are it will automatically be set to a Follow link. This says to Google, ‘Hey, this is a really great link to a site I trust. I’m happy to pass on my own Domain Authority to it’. NoFollow links normally need a small piece of code added to them (or you can add via the linking widget in Blogger for example, by clicking the ‘rel=NoFollow’ box when you add a link). This just tells Google not to pay attention to the link when it’s calculating its search results. So if you linked out to a retailer website, they wouldn’t receive any positive benefit from that link being there (they also won’t receive any negative benefit either). Google really doesn’t like people to use Follow links for anything paid (it goes against their guidelines). So if you have written sponsored posts, all links should be marked as ‘NoFollow’ to keep in line with their guidelines. It’s also recommend to do the same for any PR samples you might have received and are linking to, as they can be seen as payment (in a way) for coverage/links. You can read the full Google guidelines here and here. Now, Google guidelines are just that, guidelines. However, they can, and do, sometimes penalise people for breaking these by removing them from their search results for a time. If you don’t have a huge amount of traffic that comes to you via search, then this might not be a huge issue, but if you do experience a lot of traffic via Google, then it’s not something you want to happen. It might not happen that often, but it does happen and is a risk you need to consider. A lot of SEO agencies that pay for sponsored posts will ask for a Follow link, despite it going against Google guidelines. This is because they have been tasked with creating more positive links for their clients and Follow links are seen to be more beneficial from that point of view. A blog post about a brand with a NoFollow link will still have value – you’re featuring them to your audience and helping to raise their profile; it just doesn’t have the same impact from a traditional SEO point of view. I hope that this has been helpful – if you have any questions, please just let me know.